WE emerged from Crannach Wood to find a woman sitting by the waters of the Allt Coire an Lochain looking stunned. She admitted she was shattered, demoralised by the struggle through the trees and undergrowth. Her partner didn’t look much better. 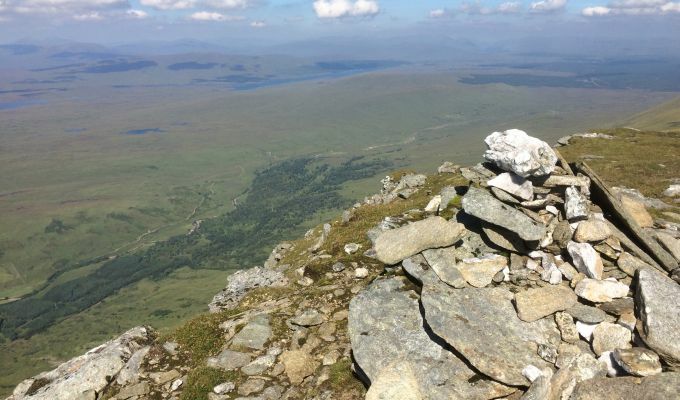 She didn’t think she go could any further – Beinn a’ Chreachain would have to wait for another day. 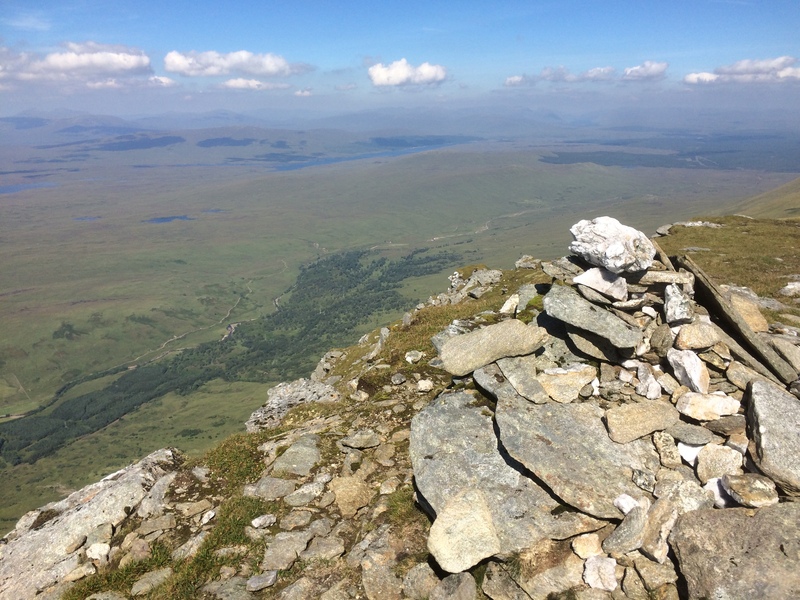 She was an experienced hillwalker but she was totally unprepared for the surprisingly brutal efforts needed to reach this point. I recognised Crannach Wood syndrome when I saw it. As a veteran of this approach, I was able to reassure her that the toughest part of the day was behind her. She perked up almost immediately. Four times now I have battled through this ancient Scots pine woodland near Bridge of Orchy, and each time I have emerged from the tree cover in need of some respite before going on. The perceived guide book wisdom is to avoid the wood, instead taking a track across the Water of Tulla and then crossing back over a few miles upstream. Where’s the fun in that? There’s no way a dull walk along a track could ever compete with a walk in the woods, however hard it may be. Besides, in wet weather, the river crossing can be difficult, especially now the old bridge has finally succumbed to the elements. We had set off on a beautiful summer morning, sunshine and clear blue skies, past the remains of Achallader Castle, a seat of treachery and intrigue through the centuries. It was built in the 16th Century and fought over by various clans. One of its occupants was the notorious “Black” Duncan Campbell, who got his hands on the property by nefarious means. The castle was attacked and burned by Jacobites in 1689 and was never fully restored. Three years later the Campbells carried out the Massacre of Glencoe. We thought briefly about taking the track but instead did the right thing and chose to head into the woods. The initial approach was on a path overwhelmed by long grass and by the time we reached the six-foot stile, the ferns were chest-deep. A vague path led uphill, pushing between persistent vegetation. At times it was anyone’s guess as to where it disappeared to but it always seemed to pop up again at the crucial moment. This native pinewood is a just a small part of the ancient forest which once covered huge swathes of Scotland. There has been an aggressive replanting programme and the efforts are beginning to show. The wood is also an important refuge for many insect species including some rarer beetles and dragonfly, and it seemed to be alive with butterflies; we counted at least half a dozen varieties amongst the throng, an encouraging tally in a year when butterfly numbers are reported to be at their lowest for a long time. 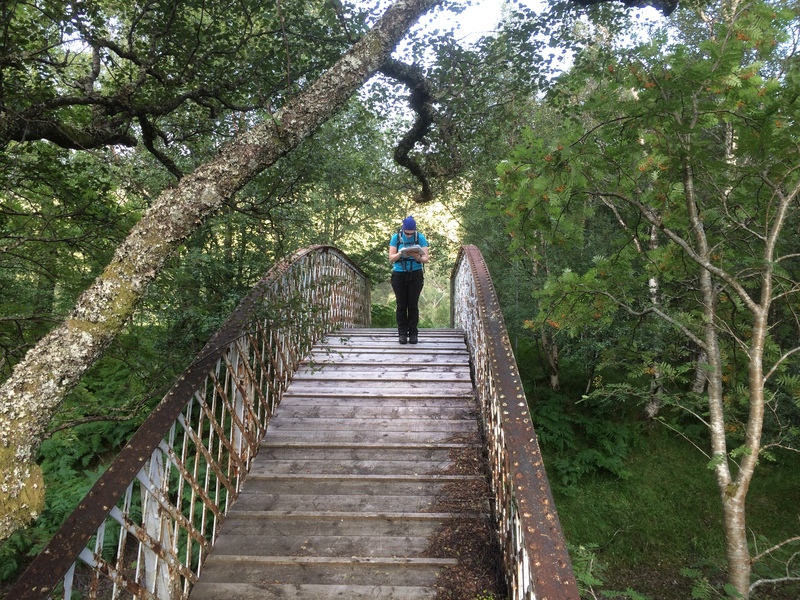 The wood is bisected by the West Highland rail line, and when we reached the rather dilapidated wooden bridge over this we thought life would become simpler. No such luck. Nature is staging a remarkable comeback, and new trees are crowding in on the path, forming a canopy which could soon require machetes for progress. The difference in the cover from my first adventure here back in 1995 is encouraging, but I suspect the strength of resurgence may mean that getting through in summer months may become more and more problematic. Every time we thought we were coming to the end, a new obstacle would appear; fallen trees, young birches ganging up to block progress and walls of shrubbery which offered no way through. I half expected to run into the Knights who say ‘Ni’. Eventually the path found the perfect hiding place, and we were forced to abandon it and head south-east into thick fields of blaeberry and ling to break free. We hadn’t seen another soul so far but as soon as we cleared the trees they appeared. First a man and his dog, then another solo walker. And then we met the struggling couple. All had been into the woods and all had found a different way out, but the verdict was the same: That was tough. The walk on to Beinn a’ Chreachain and Beinn Achaladair held no fears after that.